the daily be: wear: halloween style. i just realized it has been five years since i've dressed up for halloween! (i remember the last time i dressed up i was pregnant with piper!) i'm not sure why it's been so long; but this year i did double duty and had two different costumes, two nights in a row. friends of ours hosted a great party one night and the next night we were out & about downtown. i didn't start thinking about costumes until about a week before which didn't leave a whole lot of time for creativity. i was trying to come up with some couple that mr.a & i could be together. my bright idea was rachel zoe and rodger, but mr.a didn't think anyone would get it. so, it was back to the drawing board until my friend ann suggested katy perry and russell brand! totally perfect. 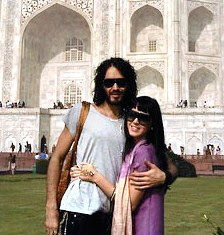 i have a minor ok, major crush on russel brand, so i was happy to play katy for one night. we were trying to keep things cheap (it's amazing how expensive costumes can get), so i bought us a couple of cheap wigs and we were determined to make it work. i'm not sure we actually succeeded in representing them (we got asked, "who are you supposed to be?" a lot), but it's always fun to rock a different look. as for me, i'm certainly no katie perry, but it was fun having black hair for the evening. i don't own any diamond-encrusted bustiers, so i did the best with what i had in my closet. my other costume was a bit more believable. 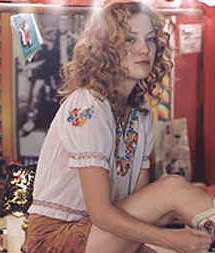 just the other day someone had asked me who my favorite movie character is and penny lane from almost famous immediately came to mind. and here i am with waldo! 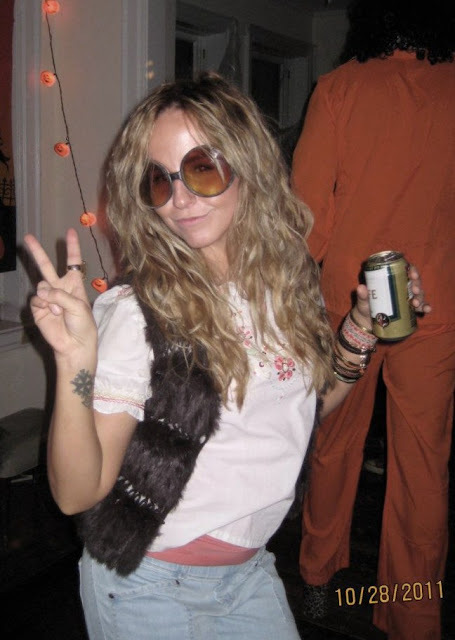 though, i think i may be channeling marykate a lil bit. i'm already thinking of ideas for next year! your poses are spot-on in the first pic -- wonderful!! i love your unique ideas ... when people have to ask, it means it's just that good! I just discovered your adorable blog and I think we have a lot in common! I'm a new follower! I'd love for you to stop by my blog and possibly follow as well. Keep up the great posts!